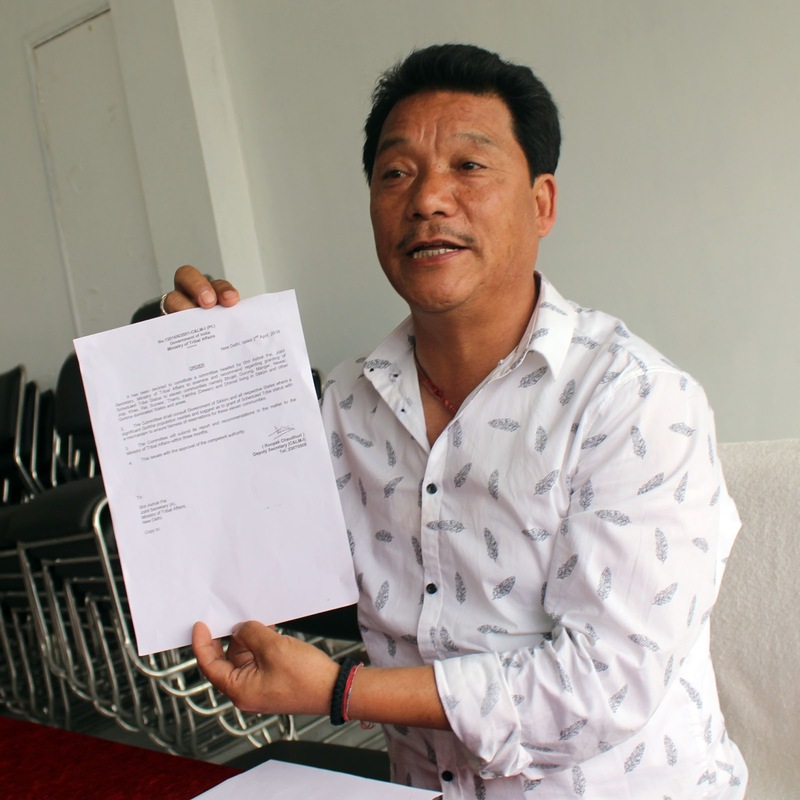 Morcha President Bimal Gurung has welcomed the move of Central government which has decided to constitute a committee to examine the demand for including 11 Gorkha communities into Scheduled Tribe status. In a notification issued yesterday dated 2nd April by the Ministry of Tribal Affairs, the government has said, "It has been decided to constitute a committee headed by Shri. Ashok Pai, Joint Secretary, Ministry of Tribal Affairs to examine and recommend regarding granting of Scheduled Tribe status to 11 communities, namely - Bhujel, Gurung, Mangar, Newar, Jogi, Khas, Rai, Sunwar, Thami, Yakhha (Dewan) and Dhimal living in Sikkim and other Gorkha dominated States and areas. The committe shall consult Government of Sikkim and all respective states where a significant Gorkha population resides and suggest as to grant scheduled tribe status with a mechanism to ensure fairness of reservations for these eleven communities. The committee will submit its report after recommendations in the matter to the Ministry of Tribal Affairs within three month. This issues with the approval of the competent authority" undersigned by Deputy Secretary (C&LM-1)Roopak Chaudari the ORDER containing no. 12016/6/2001-C&LM-1(PL) has been issued . Bimal Gurung GTA chief today first thanked the Central led BJP Government and Sikkim Chief Minister Pawan Kr Chamling. He said along with Gorkhaland we were continuously demand 11 communities to be granted ST Status. He said at a time when state government is playing a divide and rule policy by giving development board to different communities the central order is a tight slap to state policy. He said Morcha and Sikkim CM Pawan Chamling efforts have shown color for which We Congratulated all the Gorkha people of our country. GTA have send Thanks letter to PM Narendra Modi , HM Rajnath Singh, Union Minister for Tribal Affairs Jual Oram meanwhile GJM have send thank letter to BJP President Amit Shah. Gurung have requested all Gorkha people to send such letter to all mention above. He said he will soon be meeting Sikkim CM Pawan Chamling to discuss future move and said we will conquer the demand of Gorkhaland in BJP Government regime. 0 Respones to "Central Government Forms Committee to Examine ST Status for 11 Gorkha Communities ,Morcha Chief Bimal Gurung thanks NDA Government"